Have you ever wondered how Labour Day came about? Well, here’s the history behind it. For many of us, Labour Day is the holiday before we have to head back to school (or work for some); it is the long weekend that ends summer vacation. But do you know the history of Labour Day? Do you know why it is a holiday and how it came about? Well, in the late 1800s, workers were treated horribly. They had to work long days in bad work conditions and were paid very little. And to add salt to injury, they had no benefits. Additionally, they weren’t allowed to form unions, so their employers were able to treat them however they pleased. And with the rise of machines that did labour work, workers were afraid to speak out because they feared they would lose their jobs (the majority of them didn’t have any other skills to do anything else). After many years, in 1872, the first labour strike happened in Toronto, Canada. Soon after, labour strikes spread across the country as workers saw how effective holding these demonstrations were. John A. Macdonald, the Prime Minister at that time, saw how everything unfolded and decided to side with the workers. He passed the Trade Union Act, which decriminalized unions. However, the act didn’t do anything to end bad work conditions. It would take many years later (and many more demonstrations) for the nine-hour work day to become mandatory. In 1894, Prime Minister Sir John Thompson declared every first Monday of September Labour Day, making it a national holiday where workers are appreciated for the hard work they do throughout the year. 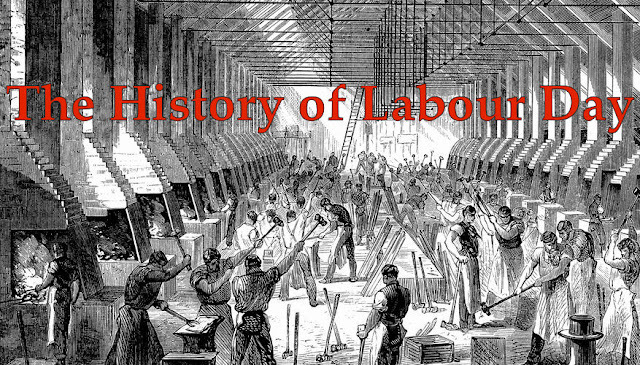 However, Labour Day in modern times has drifted from its original meaning. Now, it is a day where families go out and celebrate the end of summer with picnics or weekend trips. Labour Day in the U.S. has a similar story. The only difference is how the idea arose. Union activist Peter McGuire took the idea of this holiday from Canada when he was in the country speaking at a labour festival in 1882. He found the idea of a Labour Day to be fascinating, so he brought it up to the New York labour union that same year. A little more than a decade later, in 1894, President Grover Cleveland declared it a national holiday in the United States. How do you celebrate Labour Day? Is it a day to appreciate the workers or is it an end-of-summer celebration? Share your thoughts below in the comments. Very interested article I’ve always wondered where that come from! Thanks! And I'm glad it was interesting to you.